Finlayson Cooperative Society. (Denham, on the northern edge of the county, has a cooperative, started in 1932, affiliated that same year with the Cooperative Central.) Emil Kukkonen was postmaster in Finlayson for about two decades. 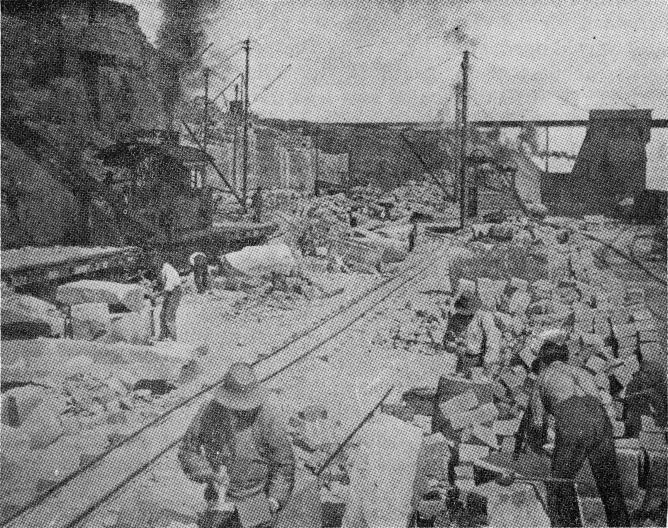 Finnish quarry workers at Sandstone.